Our old hammer-wielding friend Buster Hammer returns to the reels now in a sequel to the original and this one’s called Buster hammer Carnival; it comes with free spins, the Wild Striker and an opportunity to pay a bit more for a better chance to win. 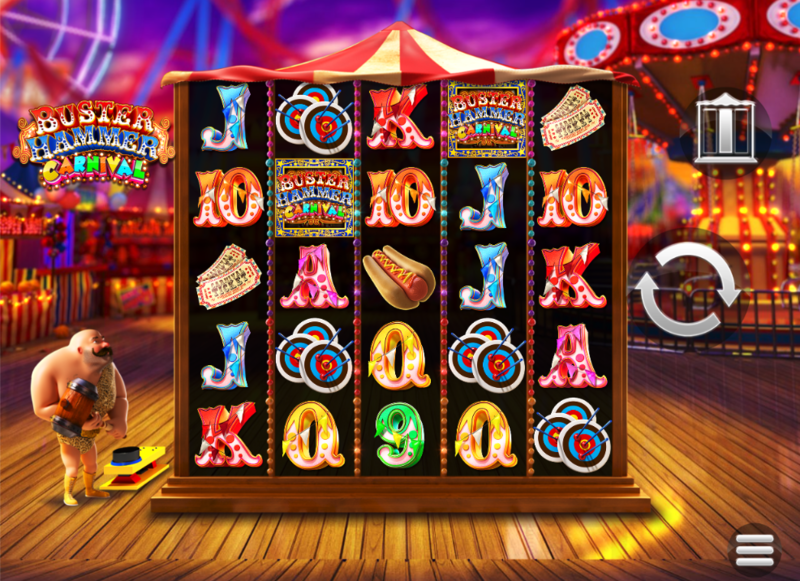 Buster Hammer Carnival is a five reel slot with five rows and 3125 ways to win in the base game; those reels spin on one of those fairground machines you whack with a hammer as hard as possible while the backdrop features the lights and sounds of various dangerous rides. The four high value symbols include Buster, some archery targets, a hot dog and a pair of tickets; 9, 10, J, Q, K and A represent the lower values. The hammer is wild and it will replace all others to help form winning matches except for the Buster Hammer Carnival scatter symbol. There’s a feature attached to the wild also which is explained below. This is triggered each time a wild symbol appears in a winning combo; Buster will hit the button on the ground with his hammer and golden wilds will appear on that reel starting from the bottom row (and if you’re lucky, all the way to the top). Click the button to the top right of the reels to increase your bet by 50% or 100% which will add more wild symbols to three/four and two/three/four respectively. 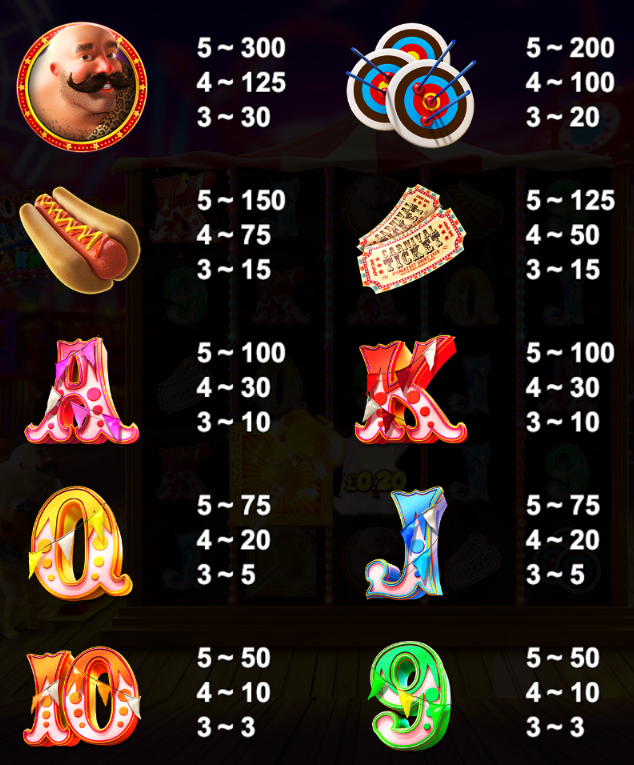 Trigger this by landing three or more of the Buster Hammer Carnival bonus symbols anywhere in view and you’ll be awarded ten free spins; it’s not possible to trigger any more spins during this round but the good news is that the reels will expand to eight rows high with a massive 32,768 paylines now available. Buster Hammer Carnival is a worthy successor to the original game – the look and atmosphere remain the same but the features have been upgraded with some clever innovations. Highly recommended.